Nestled on a private way! Picture Perfect 2 Bedroom all on one level! This Warm & Wonderful Home offers a flawless floor plan for Living & Entertaining! Sunshine & Windows are Everywhere on all 4 Sides! Sunny private Porch across the Front! Sweeping Open Livingroom and Diningroom with Custom Built ins! Gourmet Chef’s Kitchen with Abundant Maple Cabinetry, Stainless Steel Appliances and Granite Counter tops! Gleaming Hardwood Floors throughout! Enormous Master Bedroom with Sitting area and a Wall of Windows! Generous Guest Bedroom! Lavish Granite tile Bath with air jet soaking tub! Huge Deeded Storage & Full Sized Laundry! Central Air! Large Landscaped Common Yard! 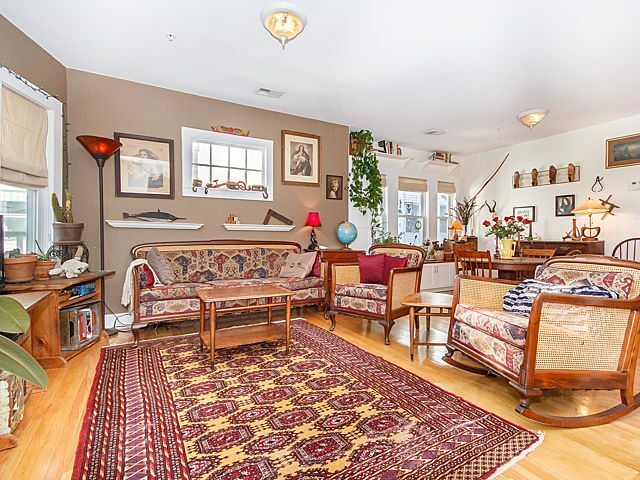 Easy access to all that you desire in Porter or Davis Square! Don’t Miss Out on this Lovely Home! A True Value in Today’s Market! Click Here to view the Floorplan and More Photos!